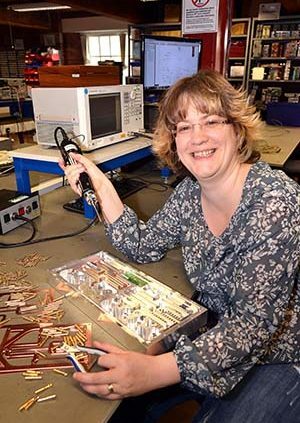 Engineer Liz Phillips has become one of only 140 women worldwide to be accepted as a fellow of the Institution of Engineering and Technology, the UK’s main engineering organisation with a global presence. The Bradford university graduate, who is one of 11 people who have worked at technology company Radio Design since it started in 2007, has been a chartered engineer for more than ten years. A filter expert, Liz leads Radio Design’s filter engineering technology group and invented two of the expanding company’s growing portfolio of patented products, which now stands at more than 20. 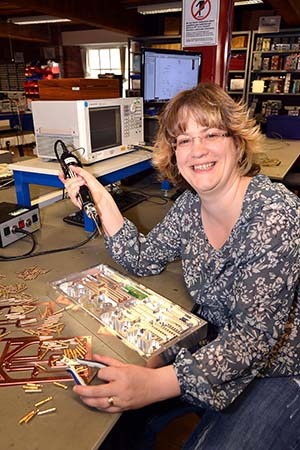 She has played a key part in radio Design’s success, including inventing the filter product that enables mobile telephone companies to share a transmission mast and significantly reduce their costs.